Oriental themes always do well in the world of slot games. Most likely because of the lush colours and luxurious ideals held by the dynasties of past and present. 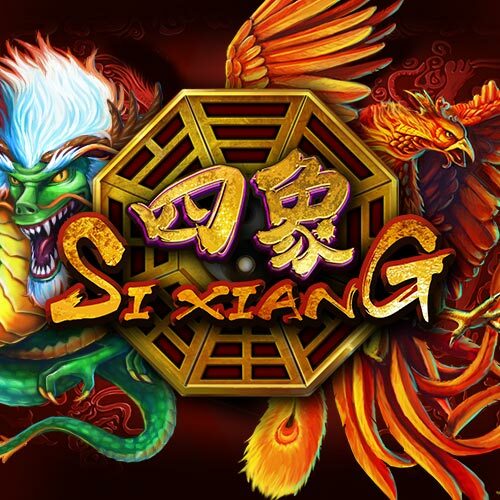 Playtech have developed a slot called Si Xiang. 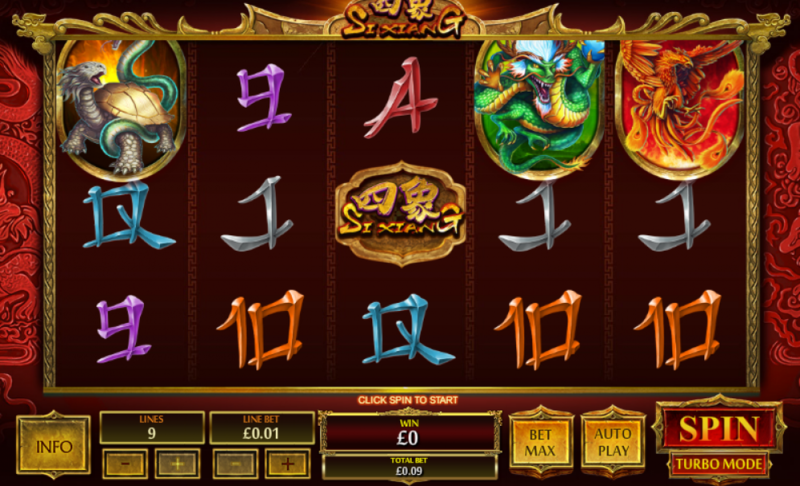 It too lends from the chinese themes and colours of reds and golds, to bring you a nice simple slot for passing the time. Si Xiang is a 5-reel, 9 pay line slot and it offers players an RTP of 96%, which considering the pay line structure is pretty high. It has a background that looks like the wall of a Chinese temple and the reels spin inside a carved wooden frame. To add to the overall feel of the game there is a distinctly oriental backing track playing along, although after a while we were a bit bored and switched it off. But if you like that sort of thing then it will only enhance the game for you. Bet Amounts – Betting begins at 1p per line in play and can be increased to £100 per line in play. This means bets can vary from just 1p per spin up to a whopping £900 per spin in Si Xiang! Wild Symbol – Your wild symbol in Si Xiang is a Yin Yang encased in a gold coin. It will substitute for all other symbols except the scatter. The wild symbol will only appear on reels 2, 3 and 4, but it will double any win that it helps to form! Scatter Symbol – The Si Xiang logo is your scatter symbol and whilst it does offer a nifty pay out, it doesn’t actually trigger any feature! Other Symbols – Symbols seem to take inspiration from oriental mythology and font too. Higher symbols being a dragon, tiger, phoenix and an odd tortoise/snake combination. Lower symbols are the usual card denominations of A, K, Q, J, 10 and 9, all designed in delicate script work that would be right at home on an ancient scroll. Scatter Wins – In order to land yourself some scatter wins, you need to land at least 2 or more of the scatter anywhere on the reels. However, in order to bag the payout they do need to be on consecutive reels starting from either the left or the right. The scatter wins are paid out on top of any line wins formed, so these can really be a great help when they land. X5 scatter symbols will award x100 the stake amount as a win. So that is all that Si Xiang has to offer, no features, no bells and whistles, just awesome graphics and a great pay structure. Less is sometimes more and in the case of this slot from Playtech, it actually works in the players favour. It didn’t get that 96% RTP for no reason and you will see when you start playing that wins happen regularly. Even the scatter wins land more often than you would think and that’s thanks to the unique structure in place for landing them. It is certainly one of the easier to play games. Taking us back to simpler days when slots where all about the pay lines and pay outs, as opposed to convoluted extras and features. If you are looking for a quick play game then Si Xiang is one to look out for.